You will be fired if they find you telling the truth, even on a blog. Welcome to the brave newly reborn corporate slave world! Thanks a lot for not only sharing this post but your story and thoughts. My cousin wants to <a href="http://getordained.org/"get ordained online and I honestly didn’t understand not only his reason in wanting to do it, but really his overall reason for wanting to become a minister. I never pictured him living his life as a minister. But one thing he did say to me which makes sense to me is that he doesn’t want to look back on his life and think “What if.” He knows right now what he wants to do and wants to follow that path and see where it leads. I gave him my blessing. I like that you’re doing what you like to do and want to do, as you said you are both working part-time and a campus minister. Everything requires not only hard work but dedication. Thanks again for sharing your post! You are living Col. 3:23. Whatever you do (IV Director, writer, blogger, preacher, shopgirl, mom, wife, daughter, sister, friend, counselor, household manager, procurement officer, gardener, baker, cook, hostess, Pom mom), you are doing it as for the Lord. Blessed to know you. 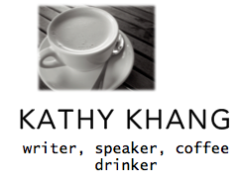 Kathy, I’ve had some similar issues in my life post-InterVarsity. there’s a lot i don’t like about people and situations, and “professionalism” outside of the safe bubble of IV that I’d come to know & love so very well. I can see how your new shopgirl life could be super challenging as I feel as well…I’m at the absolute bottom of my org with not a single nary person to oversee…which is weird & humbling! anyway, thanks for sharing this honestly. I respect & admire you so much!!! hugs! My heart goes out to you with love and admiration.